Update: Our Little Black Dress Project goal this year was raise a total of $5000 to help eradicate human trafficking and we surpassed it, fundraising over $7000 and collecting over 70 bras! By wearing the same black item of clothing each day for a month (shirt/dress/skirt) we relate to those with no choice who are enslaved, create awareness for their plight, and raise funds to bring them freedom. This year our featured organization is Blackbox International which helps sexually exploited boys. Please click here to donate to our featured organization! Thank you! 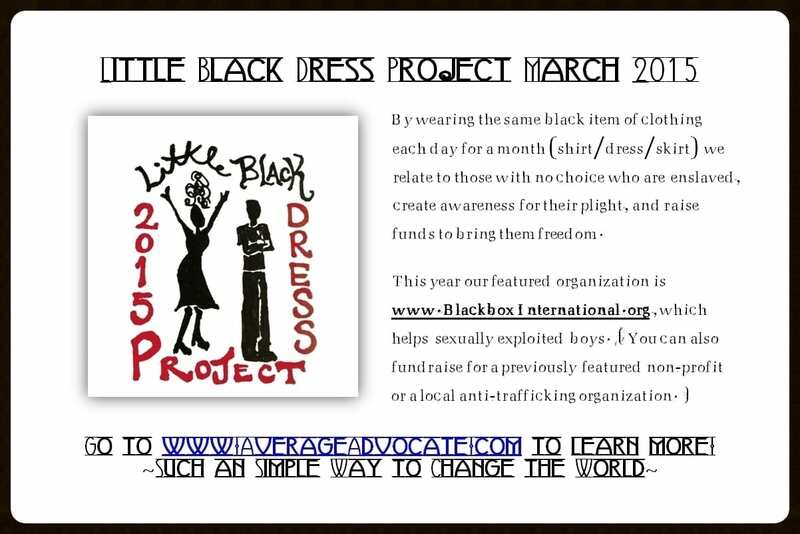 To learn how to participate in LBD 2015 (even if you want to do it on your own later, but add your total to the LBD Project total) please read the About the LBD Project page and contact us! This year, we are excited to announce, we are also collecting gently used bras for Free the Girls! Learn more about this by checking this page out! LBD Project fundraises for any organization that fights the injustice of modern slavery or helps bring restoration to victims of trafficking. 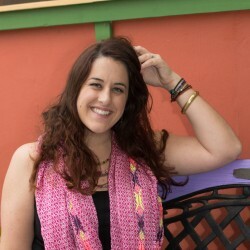 We also suggest donating to your local trafficking initiative or a previous featured organization, such as International Justice Mission, Love 146, and A21. Please let your LBD participant know if you donated money though check or cash, or to a different human trafficking organization so we can add your donation to this month’s tally to help us reach our goal. Even $5 helps change the world!